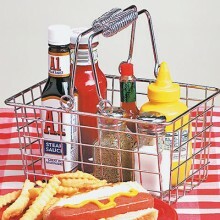 Ketchup and mustard and shakers, oh my! 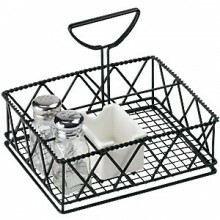 What to do with all those condiments… Make your tables look neat and tidy with them all organized in a condiment caddy. 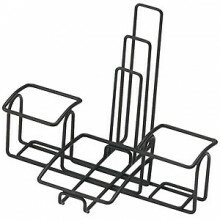 Beyond keeping the condiments orderly, table caddies are an easy and relatively inexpensive way to update or complete the look of your dining room. 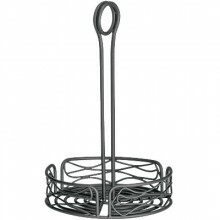 Serv-U offers caddies to hold shakers, squeeze bottles, jelly or sugar packets, and even ones that incorporate menu and number stands. 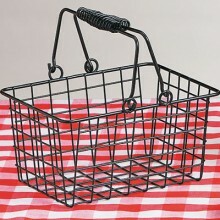 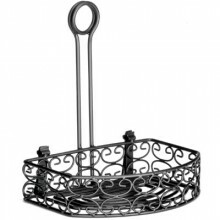 We have a large array of styles from modern wrought iron designs to traditional chrome finish organizers to fit your decor. 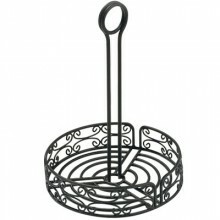 Most importantly, organized tables will help your establishment make a great first impression on your customers.